Golf Cart/Greensmower HF273 cart tires from Del-Nat feature a wide footprint that spreads weight across the surface to prevent damage to soil and sod during normal conditions. The shallow tread depth ensures minimal dig on delicate surfaces while maintaining enough traction to navigate uneven terrain. Made from reinforced materials, the rubber compounds resists damage from punctures and curb wear while the over sized design increases comfort. Solid shoulders increase maneuverability in tight situations and channeled groove patterns help force water away from the drive path in wet conditions. 18/6.50--8 N/A N/A N/A N/A N/A N/A N/A 8"
Purchase includes the Del-Nat Golf Cart/Greensmower HF273 tire only. The wheel rim shown in the picture is not included. Picture provided is a stock picture from the manufacturer and may or may not reflect the actual product being ordered. All Del-Nat Golf Cart/Greensmower HF273 tires are continuously developing with manufactured improvements. With that said, Simple Tire and the manufacturers have the right to change these tire specifications at any time without notice or obligation. 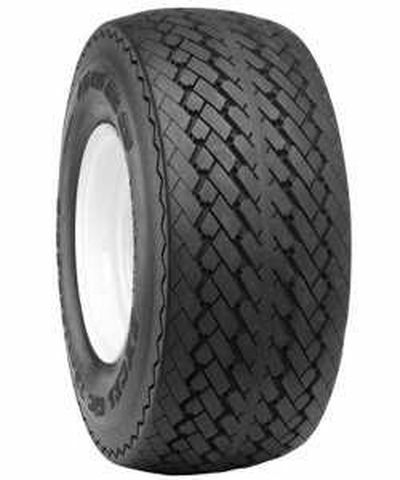 Please Note: Specifications of the Del-Nat Golf Cart/Greensmower HF273 tires shown above are listed to be as accurate as possible based on the information provided to us by Del-Nat tires.